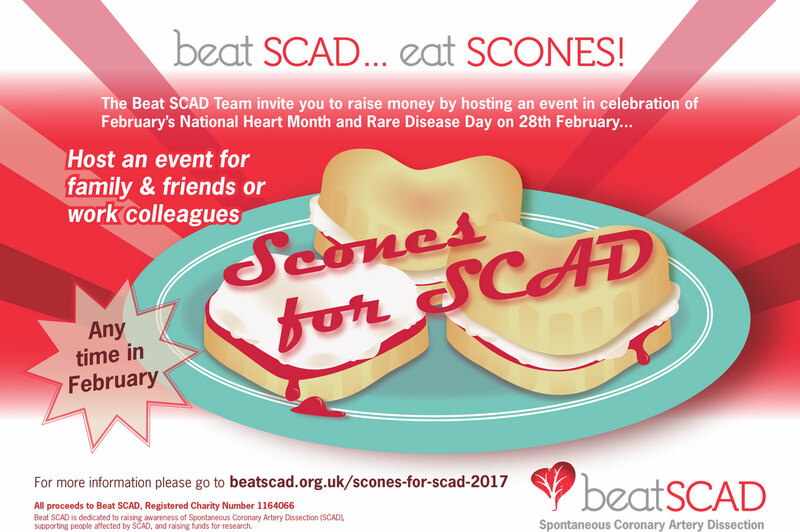 Beat SCAD is pleased to announce that we are repeating our Scones for SCAD events this year. 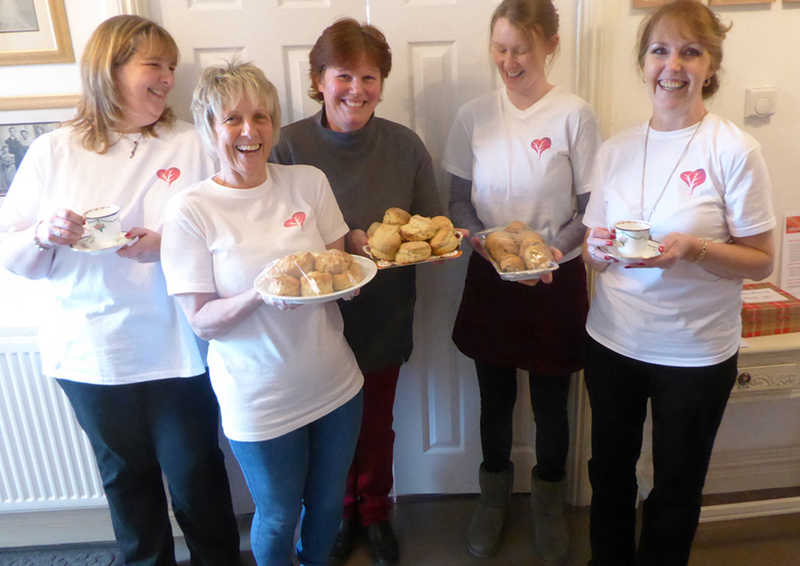 To celebrate Heart Month and Rare Disease Day on 28 February, we are asking supporters to host a tea party or other event during February where the central theme is scones. We’ve suggested some ideas in our event pack (see below for details of how to download the pack), but feel free to do whatever you like! Click here to have a look at our round-up of last year’s events for some inspiration. The theme of this year’s Rare Disease Day is Research. SCAD patients know that research is vital if we are to get answers, treatments and improved diagnosis and care. Current research in the UK, USA, Canada and Australia, as well as the creation of a European Study Group in 2016, give us hope that we are getting closer to discovering what causes SCAD. Rare Disease Day is also an opportunity to recognise the major role patients play in research. The UK SCAD research was initiated by patients and the researchers continue to welcome our input. Last year’s events raised more than £4,800 and we’d love to smash that total this year! Please click on this link to register your interest and download an event pack giving more details. If you have any questions, email us at contactus@beatscad.org.uk. And don’t forget to sign up for our newsletters to keep up to date with our activities.